« Video: Who Dat Cabbie?! The video was shot on the Saints’ sideline during the NFC Title game in 2010, moments after New Orleans players were erroneously informed that Minnesota’s Brett Favre had been knocked out of the game. Hargrove’s face is partially covered in the video, however, and it is not immediately clear if he is the one speaking. 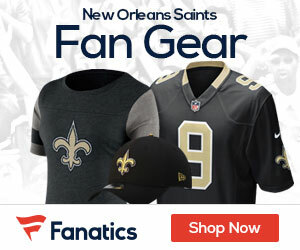 Richard Smith, the outside counsel for the players union in the Saints case, said it was “my best piece of evidence because it calls into question the thoroughness, the accuracy and veracity of the NFL’s investigation and their statements,” Tim Rohan of the New York Times reports. Mary Jo White, the league’s outside counsel, who presented the summary of the NFL’s evidence to the news media on June 18, said that it was Hargrove because his lips were moving. “It’s just unfathomable to me that the NFL would simply rely on their naked eye and their ears to determine if a player has said something,” Smith said in a telephone interview Thursday. Smith hired a voice recognition expert to review and analyze the sentence. Smith said the expert had concluded that the harmonics of Hargrove’s voice did not match the voice on the tape, that Hargrove’s lips had not been visible and that the first word was not “Bobby” but instead the result of a player and coach talking at once. “No one can say beyond doubt that it’s Anthony Hargrove speaking,” Smith said. “Anything that we have tested, been able to test, like the videotape, is crumbling,” Smith said.